There's really not much to be said here that the video doesn't already say. I mean, how do you follow an evil turtle monster doing rhythmic gymnastics? 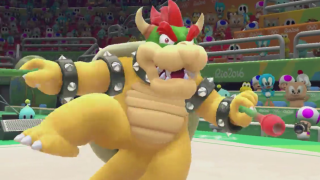 Bowser, you got some serious moves. Koopa kudos. Mario & Sonic at the Rio 2016 Olympic Games will be available for Wii U on June 24.